The Horizon Jacket, with TorsoFlo hem-to-pit zip. Completely waterproof, breathable and fully seam taped, and replete with features usually found only on pricier shells, the Outdoor Research Horizon Jacket provides high-end performance at a price that won’t break the bank. Features including interior and exterior front zipper stormflaps and a fully adjustable hood keep out the elements, and TorsoFlo hem-to-pit zippers effectively vent excess heat. 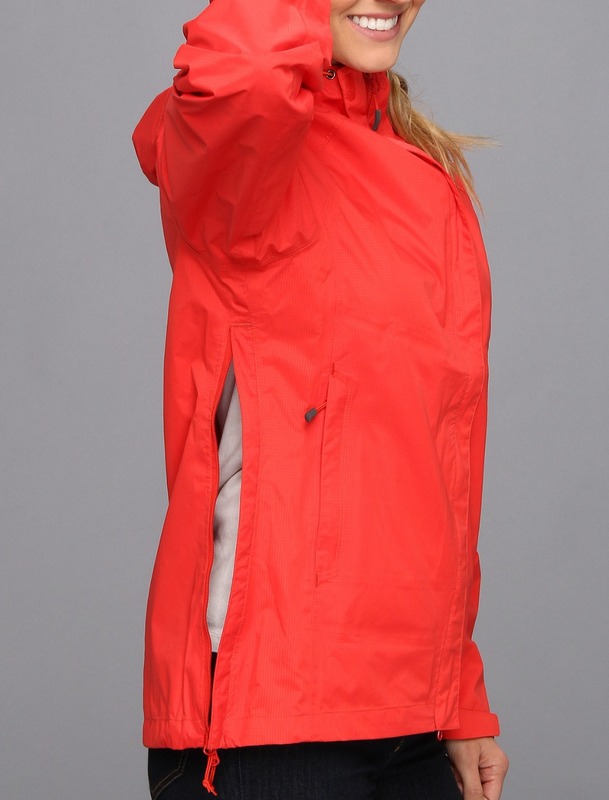 The TorsoFlo venting allows you to unzip the jacket and place it over your hip belt, poncho-style. This is super handy when you’re hiking in warm-weather rain and need maximum venting and protection. The Halo Hood keeps your field of vision clear so you can focus on the trail ahead. 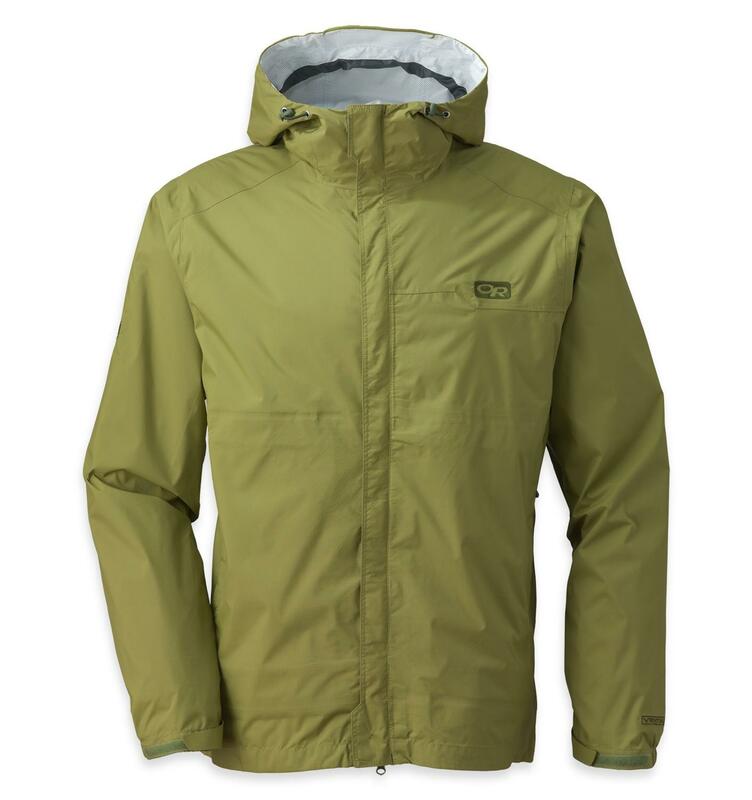 If you’re looking for a rad, fully-featured jacket for hiking, backpacking, even climbing, look no further than the Horizon Jacket.